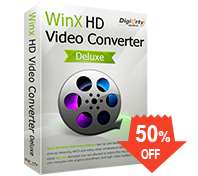 Convert, resize, download, edit any video. Must-have for 4K/HD videos. 410+ profiles. Download videos from 300+ sites, like YouTube, Facebook, etc. Slideshow maker. Edit parameters, merge, crop, trim and add SRT subtitle in any languages. Remove DRM limits, make iTunes purchases playable on non-Apple devices.